Atlanta, GA's trailblazing metalcore heroes Norma Jean have announced their last tour dates of 2010, and in a move that's sure to have a few metal fans above the 49th happy, the band will be spending the end of November and much of December in Canada. 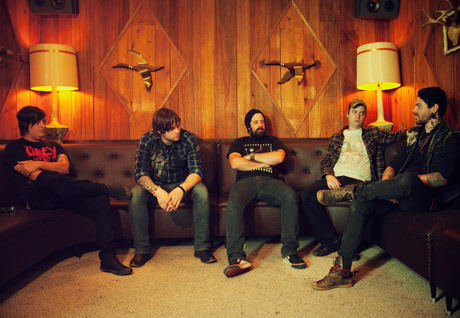 Toronto, ON's Alexisonfire are headlining the Canadian dates, pumping their new Dog's Blood EP. But Norma Jean are going to be giving the Canadian faves a run for their money as they tear it up with material from their latest, the excellent Meridional. Before Norma Jean hit Canada, they will be playing a short headlining tour of their own in the U.S. Full dates for all Norma Jean shows are below. The band recently returned from a UK tour with British metalcore dudes Architects and were part of the travelling Mayhem festival this summer, which also featured Lamb of God, Rob Zombie, Hatebreed, Shadows Fall, Atreyu and others.